Need a secure place to store your items? We’ve got you covered. 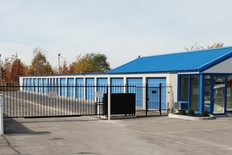 Our location at 2782 Clifty Dr in Madison, IN is conveniently located right off Highway 56, Highway 7, and Highway 62, so accessing your storage unit is always easy. We’re close to Dicky’s Doghouse, River Valley Church, Anderson’s Sales and Service, and Clifty Engineering. Call us today and let us help you find the space you need. We’re available 24-hours a day! 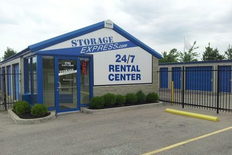 We are dedicated to providing the best in self storage to the people and businesses of Madison, Indiana. 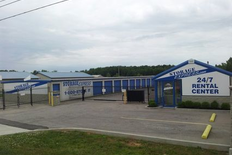 Our convenient location on Clifty Drive is easily accessible from Highway 56 and Highway 421. We offer the most convenient hours in the area. You can access your unit 24 hours a day. We also feature a 24/7 rental and payment center so you can rent when it’s convenient for you. Or, call us 24-hours a day! Our property is one of the cleanest and safest that you can find. From professional pest control to 24/7 video recording, we do everything we can to make sure our storage facility is fit for your belongings. Reserve a unit online today or feel free to give us a call with any questions. We’re more than happy to help you start your storage experience! And we love having you with us. Thanks, Malinda! Love to hear this. Thanks for the stars and candid review, Rick. Happy to have you with us. Your satisfaction is a top priority, Austin. Thanks for choosing us for your storage needs. 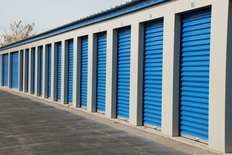 This is a new way of renting a storage unit, I did it all online, I got the gate code moved in and never spoke to a human until I moved out, it was a really easy experience. Easy is what we love to hear. Thanks for your feedback, Bryan. Thrilled we can be of help to you. We're available 24-hours a day if you ever want or need us! Many thanks! Jacob Potts, thank you for the high star rating!